From 2021 there will be a new airline flying across the pond. Offering flights between London and both New York and Boston, JetBlue, well-established in the US and the brand behind a revolution in low-cost aviation over there, is heading this way. Another airline plying the well-worn Atlantic routes? So what? Well, British travellers have every reason to be excited. 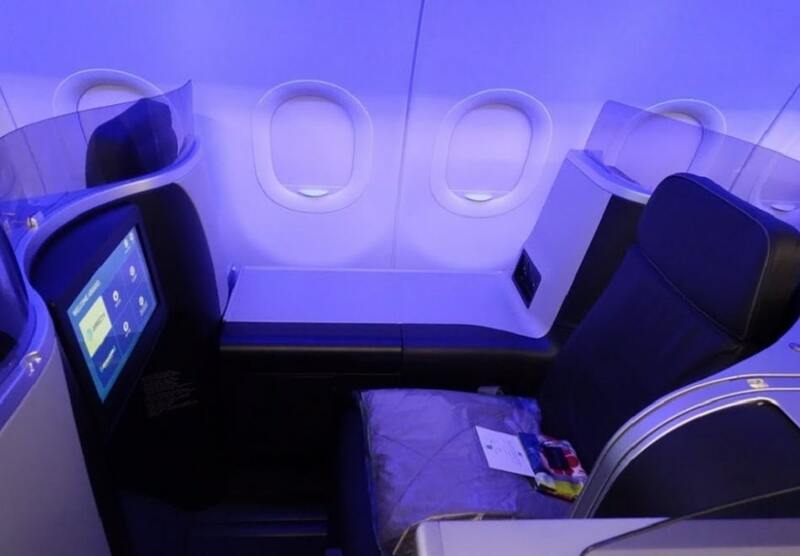 Despite being classified as a ‘low cost carrier’, JetBlue is known Stateside as the airline with the most legroom in Coach (that’s Economy in the Queen’s English), and its aircraft have seat-back screens that run live satellite TV and movies in every seat, and free Wi-Fi, throughout. Complimentary snacks and soft drinks are also offered in Economy too. Compare this to the trend of charging more for less that characterises so many carriers these days, and JetBlue begins to look a lot like a carrier that offers great low fares and a great on-board product too. 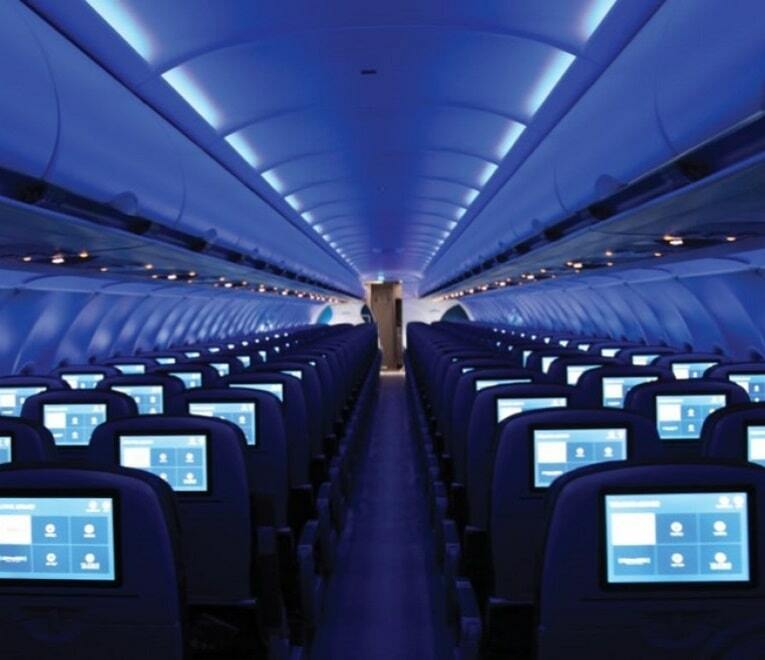 In 2014, when the airline started offering a Business Class cabin for the first time, named ‘Mint’, they quickly become a huge disruptor in the US business market. Not only did they offer lie-flat beds on domestic US flights but did so at a fraction of the fares of other carriers. And yes, JetBlue is very much a profitable airline. JetBlue’s disruption of both low-cost Economy and Business travel in the skies across the US, forced carriers which had previously enjoyed a near-monopoly to react by lowering their fares and ensuring they had a product to match. They now seem determined to bring that thinking to one of the most ruthless and protected markets in global aviation. The routes from New York JFK and Boston will take-off for London a few years from now with the airline set to use new Airbus A321LR aircraft. These aircraft are narrowbody but will be kitted out with an enhanced ‘Mint’ Business Cabin which if anything like their existing aircraft will have a mix of 2+2 and 1+1 seating with sliding suite doors on the single seats. Economy, however, will more than likely feature 3+3 seating at 33” seat pitch. If JetBlue can replicate what they have achieved in the USA with their transatlantic flights, then it can only be good news. Whilst the airline hasn’t given away too many details yet, such as exact cabin specifications and which London airport they are going to serve, the fact that they have successfully broken long-established monopolies before leaves us to think that maybe this stands a chance of working out. Competition is always a great thing for the consumer but what we really feel here is that the prospect of cheaper premium-cabin fares is surely something that will certainly resonate with lots of people in the UK. However, the recent demise of low cost carriers WOW Air and Primera underlines that any foray in to the cut-throat the transatlantic market comes with a health warning. Can’t wait until 2021? Search for cheap flights to the USA today.